Tanning has long been synonymous with prom as one of the many beauty rituals needed to put on the finishing touches before the big night. That is, until the FDA went and threw a wrench in it by making tanning illegal for teenagers. Now teens who want that golden glow for prom have to think of more creative (and safe) ways to bronze their skin. It was only a year ago when the editors at The Scientific American pulled out the big guns and took a hard-line stance on teen tanning. In April 2015, the magazine declared that tanning, while seductive and addictive, should be illegal for those under age 18, who have the highest risk for skin cancer — and the FDA soon agreed. The FDA proposed a ban on indoor tanning for children under age 18 in late 2015. As of 2016, teen tanning has been officially banned in multiple states. “To date, 11 U.S. states and the District of Columbia have made it illegal to permit minors (under age 18) to use tanning beds. These include: California, Delaware, Hawaii, Illinois, Louisiana, Minnesota, Nevada, New Hampshire, North Carolina, Texas and Vermont. Oregon and Washington permit it only with a prescription from a treating physician,” says Dr. Tsippora Shainhouse, board-certified dermatologist and pediatrician practicing in Beverly Hills and board member of Sun Safety for Kids. With this kind of writing on the wall, there’s no way around it. 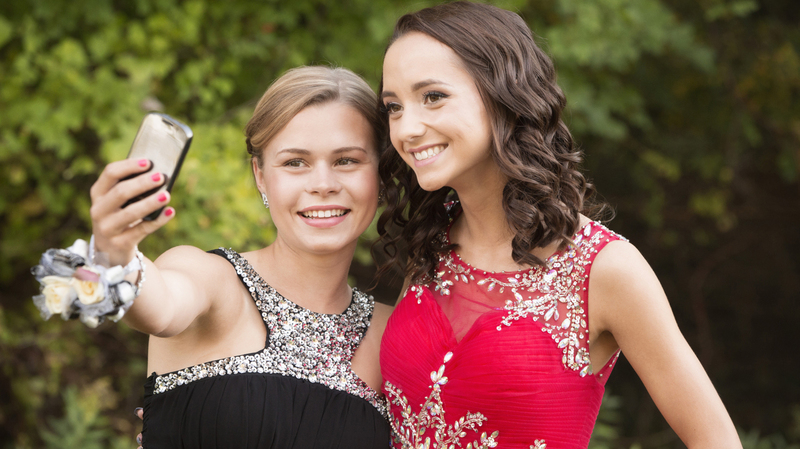 That “healthy” glow your teen wants for prom is hardly healthy at all. Still, this teen tan ban doesn’t mean an army of well-dressed vampires will be showing up at the prom this year. There are several ways teenagers can bronze their skin without compromising their health. Finally, the answer all parents (and teens) have been waiting for. 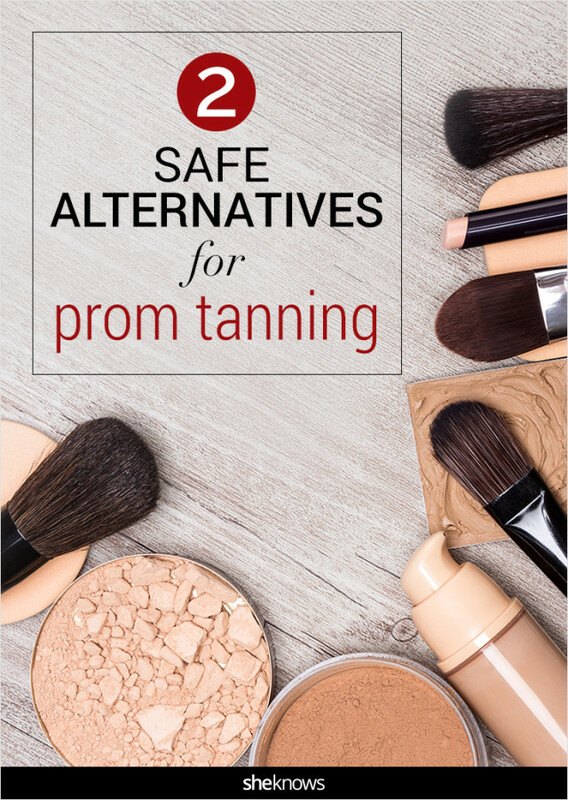 If a teen can’t crisp up their skin in a tanning bed to prepare for a special event like prom, as has been the practice for so many years, what can they do to look their best in their dress? The reality is that there is no safe way to tan, since tanning involves ultraviolet light exposure, which we now know causes skin cancer, says Dr. Delphine J. Lee, dermatologist and director of the Carolyn Dirks and Brett Dougherty Laboratory for Cancer Research and Department of Translational Immunology at John Wayne Cancer Institute in Santa Monica, California. Tanning beds are out for teens — with no exceptions — which can only mean that self-tanner is in. “The safest way to add color to your skin tone is a topical product, such as a self-tanner. This topical alternative can be applied as a cream or lotion at home or sprayed on at a salon. The self-tanners react with the proteins in your skin to add color to your skin tone. Another option is to apply a bronzer, which adds color similar to makeup and will wash off. I prefer patients applying bronzer or self-tanner as a lotion or cream at home to avoid any unnecessary exposure to fumes from a spray,” says Dr. Lee. Self-tanners: “These products use dihydroxyacetone, [or DHA], which oxidizes the top layer of epidermal cells, turning them brown, similar to biting into an apple and then letting it sit on the counter. As the skin cells slough off, the ‘tan’ fades. These can be applied as lotions, creams, gels or spray tans. It takes about eight hours for the skin cells to turn brown,” she says. But not all self-tanners are created equal, as you might soon find out once your teen has dipped her toes into those bronzey waters. And many have a huge margin for error if you’ve never used them before. To make a quick safety check on any bronzing or self-tanning product, just plug the product name into the EWG Cosmetics Database. Streaking and misapplication may be the biggest turnoffs for teens when it comes to self-tanner use. But as it goes with any other part of pre-prom prep, like the hair, the makeup and the dress, practice makes perfect. Taking a self-tanner for a test drive several weeks before prom can put a teen’s mind at ease and prevent any goopy and streaky mishaps. Dr. Fields also recommends showering, exfoliating, shaving and moisturizing before applying self-tanner for the most even — and the most natural-looking — end product.